From Caesar’s Palace to the high seas, Craig Diamond has appeared live on stage in nightclubs, hotels, resorts, casinos, on television and luxury cruise ships around the world. In the past 30 years, comedy and magic have literally taken him to all seven continents, performing in over 130 countries for millions of delighted audience members. Craig has performed for presidents, prime ministers, kings, queens and a host of celebrities. 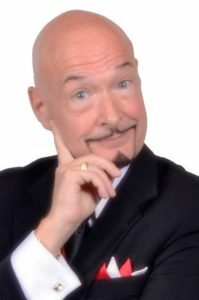 He has shared the stage with such entertainment legends as Victor Borge, Joan Rivers, Clint Holmes, The Smothers Brothers, Bobby Vinton, Phyllis Diller, Soupy Sales, Merv Griffin, Bobby Rydel, David Brenner and the one and only Sammy Davis, Jr.
Craig Diamond is an award-winning master magician, hilarious stand up comic and world class entertainer.